This is a bit of a combo mani today. 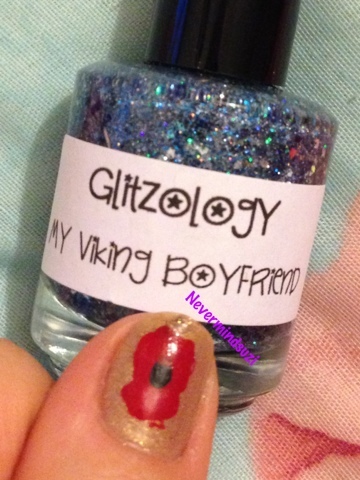 I really wanted to wear My Viking Boyfriend which is another fabulous polish from Glitzology. 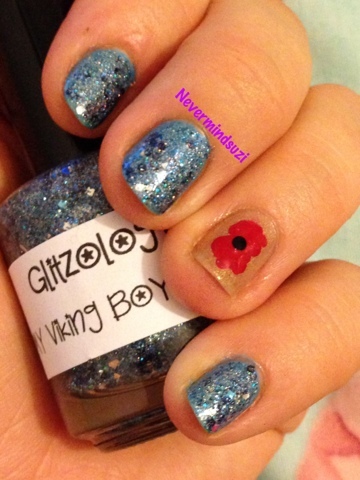 Blue micro glitters with a holographic shimmer and larger flecks of silver, blue and navy glitter. I used 2 coats and there was no fishing required. Here is 2 coats over 3 coats of China Glaze Towel Boy Toy. 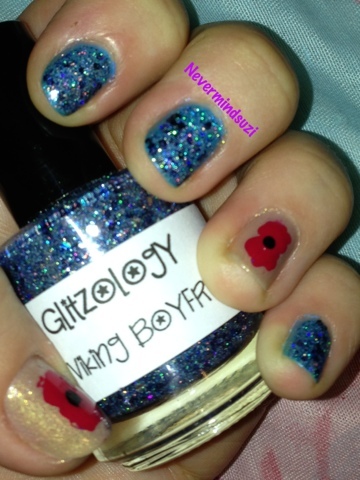 I also wanted to pay tribute to the fact that it is Remembrance Sunday in honour of the fallen heroes - Lest We Forget. 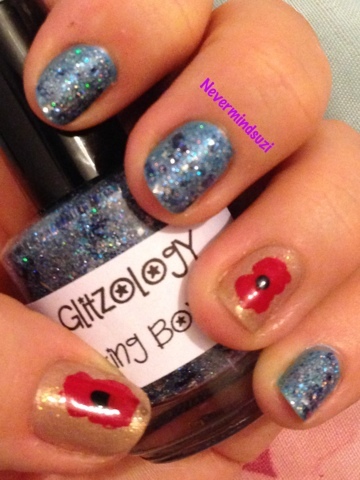 So here's 3 layers of China Glaze Fast Track with a poppy for respect on my ring and thumb.